The authorities are confident that voters will come to exercise their democratic right as the day progress as it was very cold outside. 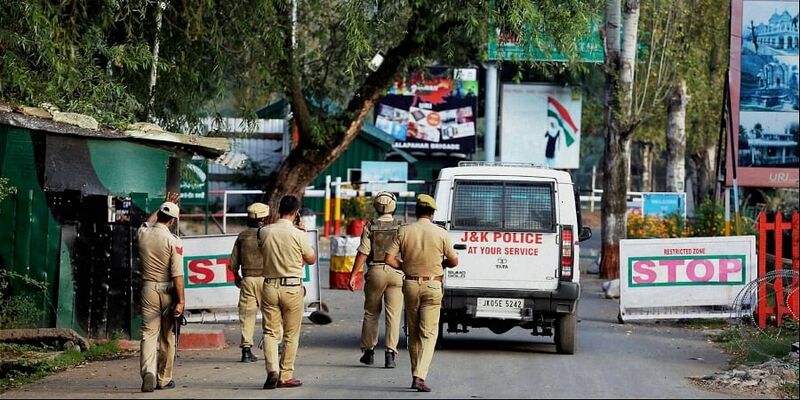 SRINAGAR: Polling began on a dull note in the third phase of Municipal polls-2018 in the Kashmir valley, including summer capital, Srinagar, amidst unprecedented security arrangements following strike called by separatists. Polling, which started at 0600 hrs, will end on 1600 hrs, officials said. However, poll staff in majority polling stations were still waiting for the first voter. The authorities are confident that voters will come to exercise their democratic right as the day progress as it was very cold outside. The areas going to polls in Srinagar are Lal Chowk, Rajbagh, Ikhrajpora, Mehjoor Nagar, Natipora, Chanapora, Budshah Nagar, Bagaat Barzulla, Rawalpora, Hyderpora, Khanka-e-Moualla, Mahraj Gung, Jamia Masjid, Makhdoom Sahib, Khawaja Bazar, Aquilmir Khanyar, Rouzabal, Doulatabad, Islamyarbal, Nawab Bazar, Nawa Kadal, Safa Kadal, Rathpora, Eidgah, Palpora, Tarabal spread over Khanyar, Amira Kadal and Eidgah assembly segments in the down town, civil lines and uptown. During the first two phases of polling in Srinagar, the voter turnout was just 6.2 per cent and 2.1 per cent respectively. However, people in the areas going to polls today alleged that they do not know who are the candidates contesting the polls. ''We do not even know where the polling stations are,'' they said. This time names of the contesting candidates were not disclosed for security reasons. The election will be held in 20 wards of the SMC, 13 wards of Uri Municipal Committee in northern Kashmir's Baramulla district and seven wards of Mattan Municipal Committee in southern Kashmir's Anantnag district. The National Conference (NC) and Peoples Democratic Party (PDP) besides Communist Party of India (M) have boycotted the polls on the issue of Article 35 A.